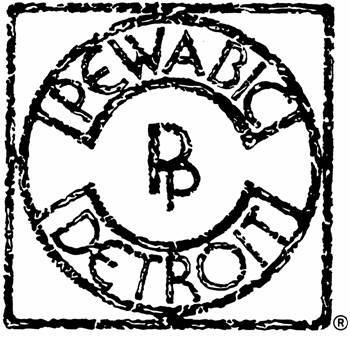 Pewabic Pottery (Pewabic) today announced the launch of a new group aimed at targeting the next generation of cultural enthusiasts. Copper & Clay: Pewabic’s New Leadership Initiative is a committee of engaged, young professionals providing their leadership skills and experience in support of Pewabic’s mission. The group’s first event is a summer preview party which will take place Thursday, Aug. 16 from 6 p.m. to 8 p.m. in the Pewabic courtyard. The networking event will feature hors d’oeuvres, beer, wine and non-alcoholic beverages. The event is for adults age 35 years or younger. Guests will enjoy giveaways, guided tours of Pewabic’s National Historic Landmark building and exclusive access to preview the annual summer sale featuring discounts of up to 50 percent on seconds, overruns and imperfects of Pewabic gift tile, vases and architectural tile. Tickets for the summer preview party are $30, which include entry into the summer preview party and a year-long Pewabic membership at the associate level, or $15 for event entry only. Current associate level members can purchase tickets at a discounted rate of $5. Tickets are limited and must be purchased in advance. To purchase tickets call (313) 626-2077 or email Lou at lcasinelli@pewabic.org. Tickets can also be purchased online at www.pewabic.org/summer-preview-party. Pewabic is a historic working pottery which is open to the public year round and offers classes, workshops and tours to children and adults. Pewabic creates giftware, pottery and architectural tile, showcases more than 80 ceramic artists in its galleries, and operates a museum store that features pottery and gift tile made on-site. Visitors are welcome, free of charge, Monday - Saturday from 10 a.m. to 6 p.m. and Sunday from noon to 4 p.m. To learn more about Pewabic Pottery call (313) 626-2000 or visit www.pewabic.org. Pewabic Pottery is located at 10125 E. Jefferson Ave. in Detroit across the street from Waterworks Park.